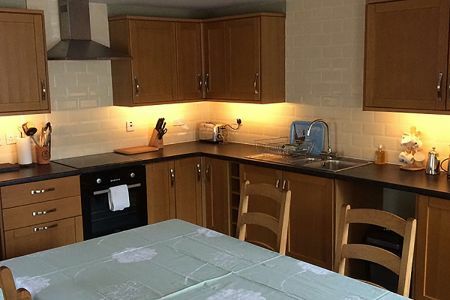 One bedroomed cottage with large kitchen, sitting room and bathroom. It also has an additional WC. 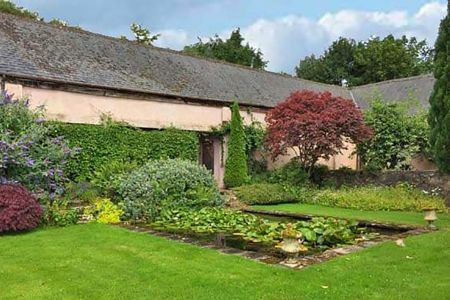 Little Fyrish is completely self contained or may be taken as an annexe to Fyrish House, parts of which date back to the seventeenth century. It has recently been renovated to a very high standard. 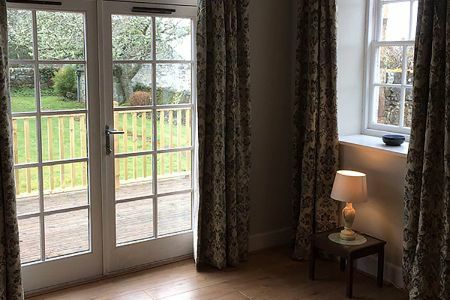 It has a deck and private garden overlooking the Cromarty Firth. 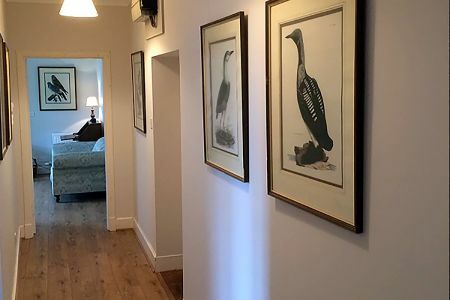 The house is an ideal base to explore the North Highlands, to fish the River Alness, to walk undisturbed for miles on forest and hill tracks or to sample the many golf courses in the area, including Tain, Royal Dornoch, and Nairn. Lovely house, lovely area, lovely estate. Very welcoming. Bathrooms - 1 bathroom with WC, bath and separate shower. Directions supplied at time of booking. The cottage sits within Novar Estate near the village of Evanton. Heating, which is via a biomass boiler, is included along with logs for the woodburning stove. Pets - 1 dog welcome. 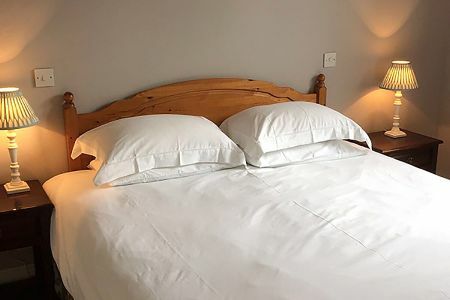 Egyptian cotton white sheets and towels are provided. Change over day flexible. Check in after 4pm; check out by 10am. Short stays and weekend breaks available. 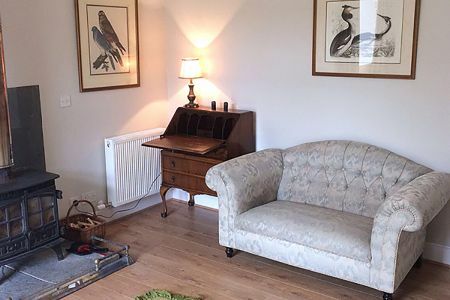 To book this luxury one bedroom cottage near Dingwall, click the contact us button below.